Taking pictures so things last longer since the turn of the century. 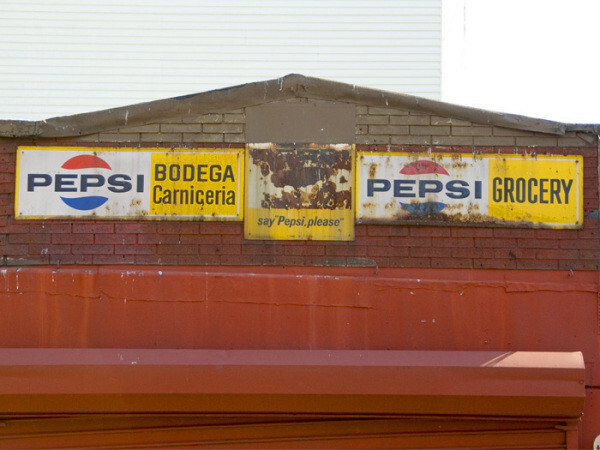 A shot of some vintage signage outside of a Bodega/Carniceria on Smith Street. All photographs/content on this site are © Copyright 2007 Jack Szwergold. All rights reserved. Please don't use any of these photos without asking for permission first. The photographs on this site may contain images/likenesses of characters/property owned by others. No rights/ownership claims are made on those images/likenesses.